I decided after my last recipe titled “The Only Meatloaf Recipe You’ll Ever Need,” I would do an entire series of recipes with this theme! In this series I’ll share with you only the tried and true recipes that have or are becoming my absolute go to recipes for certain dishes. These will only be recipes that I have used with excellent outcomes each and every time. Recipes that if followed, should all but guarantee a great end result. They will be recipes that I truly believe will be the only recipe you will ever need for whatever dish you may be creating! I want you to trust that these are great recipes. That you can ditch whatever recipe you have been using and you can stop searching for “The One.” What I must let you know is that I am a recipe trying machine. I will try a recipe at least twice but it’s rare that I find one I love and stick with it. If I happen upon one of those kind then I cherish it and I never let it go! I only have a handful of these types of recipes for now. But I do have some that are making their way into this category. Today’s recipe is going to be for biscuits! Biscuits are tricky little devils. They’re almost always too dry and crumbly with most traditional recipes. In my opinion it’s because of the fat source. I know you probably think that something baked with butter or shortening is the way to go. But what you also probably don’t realize is that those two fats are what’s making your biscuits into hockey pucks! It’s true for cakes also. You need to believe me on this, cakes are what I do. And I don’t make dry cakes. People think my cakes are pound cake recipes because they are dense and moist. But they aren’t pound cakes. What they are is not made with butter or shortening! Anyhow, back to the biscuits. These biscuits are made with a source of fat I’m sure you aren’t expecting…. I know, I was totally freaked out by this and a little apprehensive the first time I tried this recipe. But who was I to doubt? I mean, I’ve tried every type of biscuit recipe out there from using butter and shortening to clear colored soda to sour cream! So why not heavy cream? 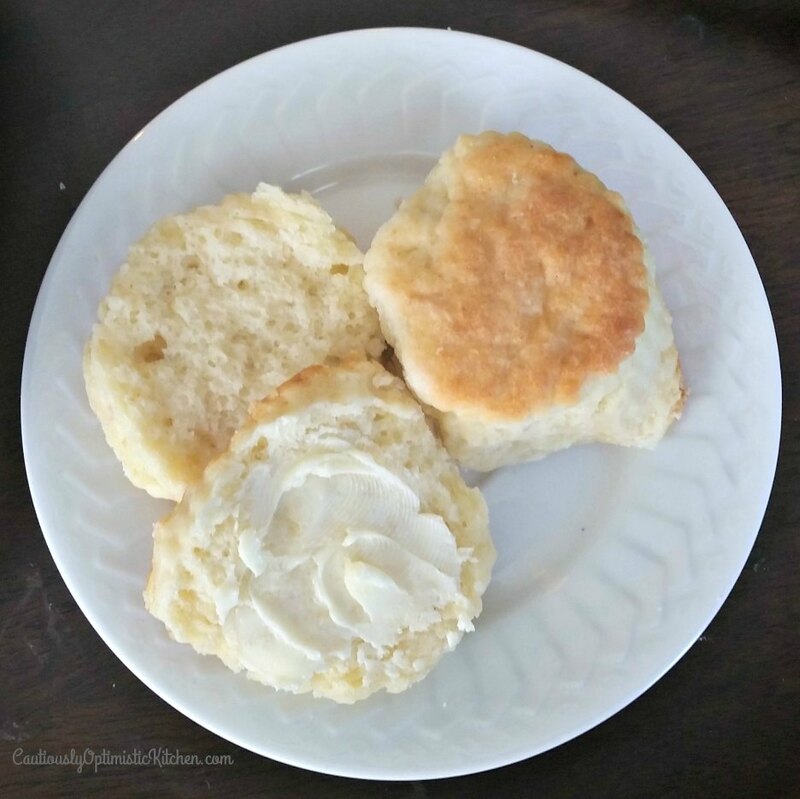 The heavy cream creates the most amazingly soft and moist biscuit you’ve ever had! There’s a couple of other tricks though to getting a really soft, not hard and crumbly biscuit, too. First, don’t over mix your dough. Knead the dough just enough. Not too much, not too little. I carefully knead my dough until it’s just smooth. Don’t knead it vigorously like you would pizza dough. And don’t knead it to the point that it stretches back. Just until you can pat it out and it all sticks together. Don’t use a rolling pin! Pat your dough out with your hands. Once you cut all you can, carefully press your scraps back together. Try not to knead it anymore than you have to when trying to get the dough to stick together. You can even kind of pinch it together instead. 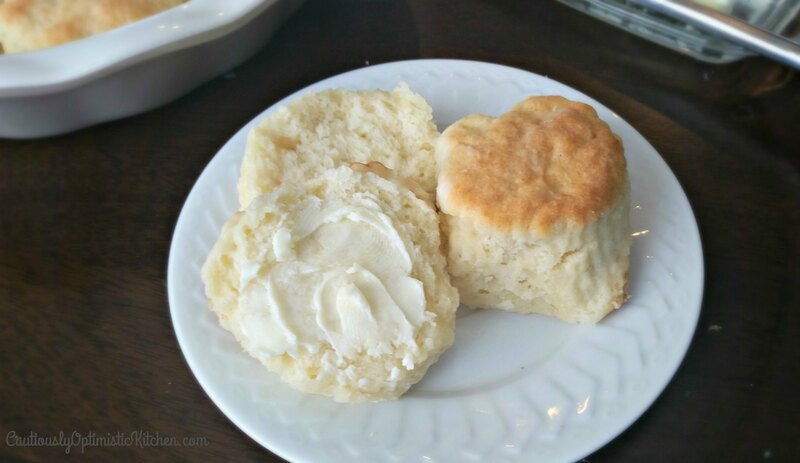 If you like soft sides on your biscuits then place them touching each other in your pan. To keep them from sticking and to give them that extra little bit of flavor, melt butter in the bottom of your baking pan instead of spraying it! 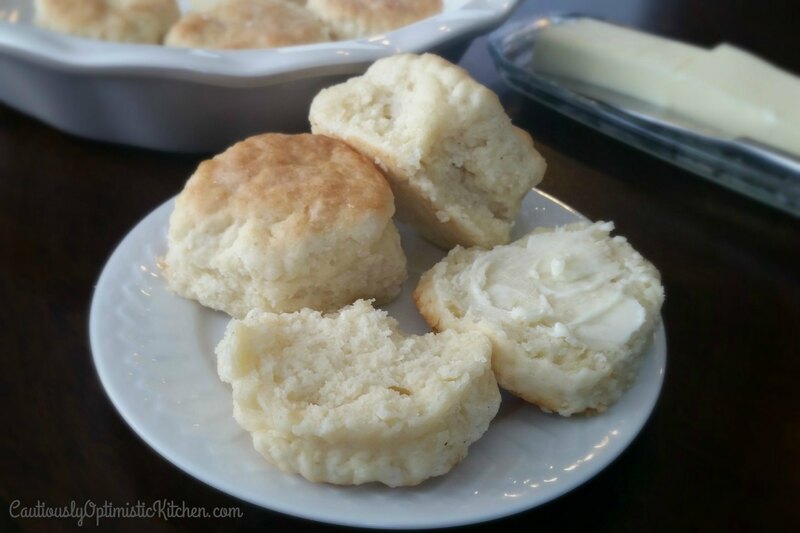 If you follow these few tips, you will have a great texture biscuit! 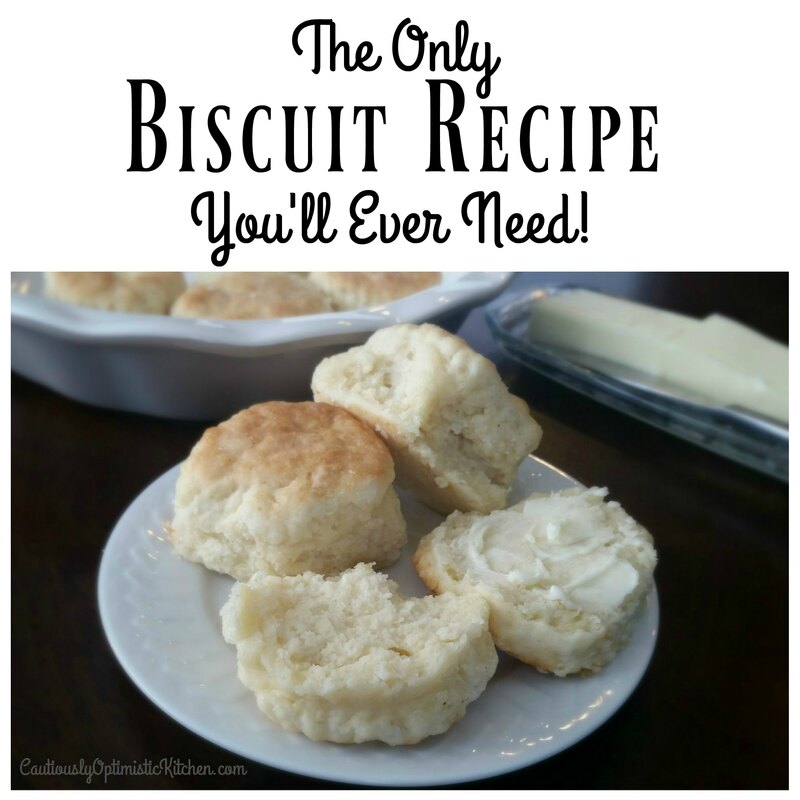 Alright, now that you know HOW to make a good biscuit, here’s the only recipe for biscuits you will ever need! Preheat oven to 425 and melt butter in the bottom of your baking pan. Whisk all the dry ingredients together in a medium bowl. Add half of the cream and stir to combine. Once mixed add the remainder of cream and stir again until just combined. Remove dough onto floured surface and lightly knead until dough is just smooth. Pat out dough with hands to 3/4" thick. Place biscuits into prepared baking pan. Bake for 14-16 minutes until tops are golden. I hope these tips and this recipe work for you as well as they work for me! 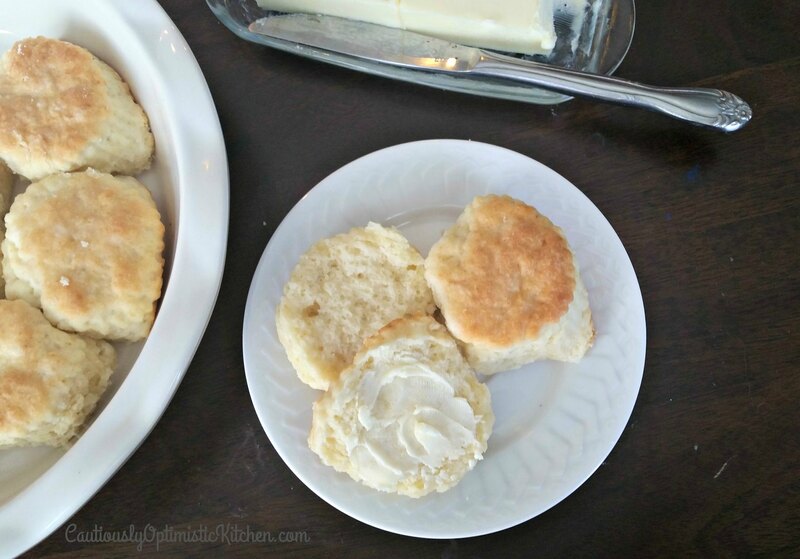 It takes lots of practice to get biscuits right, and this recipe is just the one for that. Be sure to Pin it for later!